When I started sharing love stories this week, I automatically thought of asking a few of the people who have been incredibly supportive and inspirational to me through the "blog world." Today's story is from Melissa of the beautiful boutique, Reverie. Melissa was one of the first people to leave comments on my blog, and through them (and both of our blogs/emails) we have gotten to know each other despite being on opposite sides of the country. She is such a sweet person who exudes such love and passion for her family and life. Because of this, I knew I'd like her and Sean's story to be one of the few I share. Luckily for us, Melissa agreed to my request! With all of that said, I will let her take it from here. I was working in a bank as a customer service account manager. Dating a guy who just proposed to me a few months before and gave me a sweetlittle pug puppy for Valentine’s Day. A tall, dark and handsome guy walked into the branch and asked to open achecking account. I fumbled with my words, my thoughts became all cloudy,and I was breathing heavy. He never stopped looking me in the eye, smiling,a gentleman in every single way. It wasn’t right to have these feelingswhen I knew I was to be married in a year. The tall, dark, handsome guy asks me to lunch. I accept. Girls can haveguy friends right? Of course, he had to notice my engagement ring, so he isjust being nice and taking me to lunch as a thank you for helping out withhis new accounts and relocation woes. My sweet Valentine’s pug goes into the veterinary hospital to be spayed.Tall, dark, handsome guy sends get-well cards and gifts to the pug. Done.I’m head over heels in love! Mutual break-up with fiancé. We knew it wasn’t right from the beginning,but our families didn’t want to hear it. Young, influenced, and naïve. Wewent our separate ways and never looked back. Still best friends with tall, dark, handsome guy. He never made anyromantic advancements….just a great listener with an incredibly warm, lovingsoul! We were ‘buddies’, not looking for anything else. 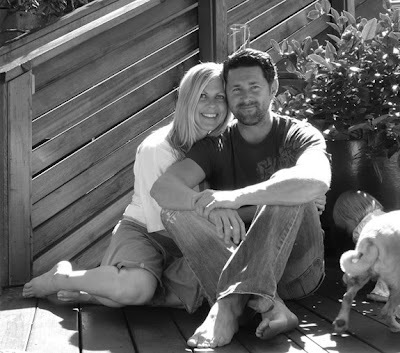 Blissfully married for almost 9 years to Sean (the tall, dark, handsomeguy), still adoring the sweet Valentine’s pug together, and created our ownadorable crumb, Gaia Miette born 7 days before Valentine’s 2008. Februaryis definitely my month of love. Never underestimate the power of two souls meant to be together. Love is anamazing thing – don’t ignore it! Thank you so much for sharing, Melissa!! And I completely agree about the power of soul mates. Happy Valentine's you two!